Investing for Cash Flow can be tricky for many investors, new and seasoned. There are many ways to invest in rental properties but choosing the right investment is the difference in being profitable versus barely making money. Many investors make the mistake of buying a property because it appears to be in a good area on paper. You can make money with properties in good areas so long as it fits the highest and best use of the property. That doesn’t mean it should be rented. It may be better served as retail sale to an owner occupant. Let’s explore the how to invest for cash flow in Real Estate that will maximize your return. It’s not enough to have money to buy Real Estate as an investment. You also need to make sure each investment passes the 4 tests of the Highest and Best Use of the property. Financially Feasible – the property must generate adequate revenue to justify the cost plus provide a profit for the investor. Examining the remaining economic life of a property is important because it directly affects the profitability. This can be overcome by renovating the property so long as, the cost doesn’t exceed the value of the property in the current market and/or foreseeable future. Legally Permissible – This test includes those properties that conform to current zoning, government regulations, and not restricted by deed or covenants. Property that predate existing zoning and/or other regulations may be legally nonconforming. This is referred to as grandfathered use. If the property is damaged or destroyed the property will have to become a conforming property. This usually means the existing structure is demolished and building a new structure that is legally conforming to current zoning and other regulations. Physically Possible – This is the test that is easier to understand. For example, you can’t build a 15,000 sq ft building on a 10,000 sq ft lot. If you can physically do it this test is passed. Maximally Productive – This is the test that many investors fail in Real Estate. This test provides the avenue to determine if the property makes the most money. In order to be maximally productive, the correct usage of the property is analyzed. You wouldn’t rent an office as a house and expect to make the most money. This is also where buying homes in affluent areas to rent doesn’t make sense. Affluent areas bring people that can buy their home therefore, the rent amount wouldn’t return the most money. The demand in affluent areas is created by retail sales. The demand in predominately rental areas, i.e., lower income areas, is created by available properties that can be rented. These are maximally productive usages in Real Estate. 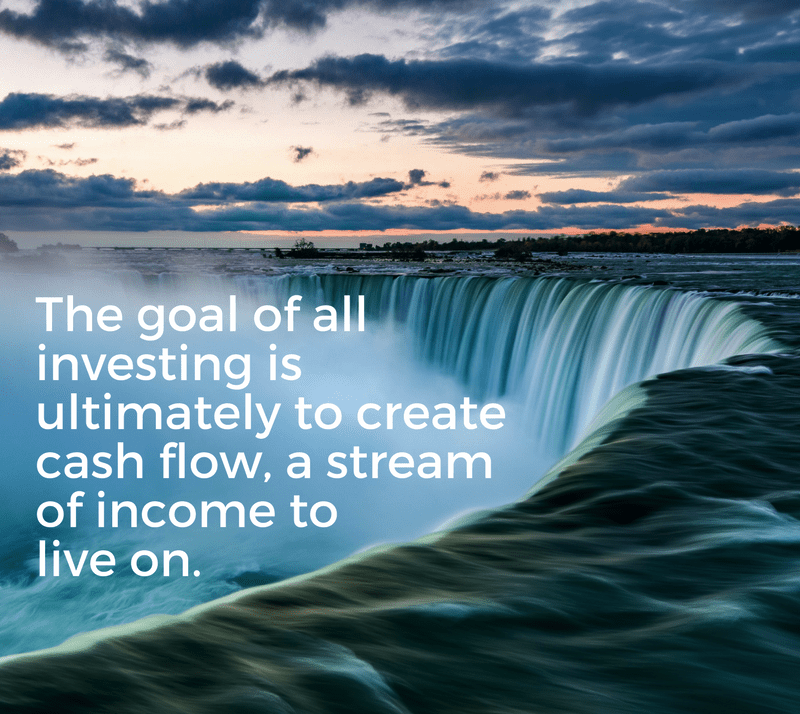 It’s not enough to pick a market to invest in for cash flow. You also need to pick the correct sub-market as well as, the correct property. Many investors purchase properties based on the ease of financing however, they bought in the wrong market, sub-market, and property for their purpose. When an investor is investing for cash flow it doesn’t make sense to accept the 1% rule. The 1% rule in actuality is a 1% net return. How so? 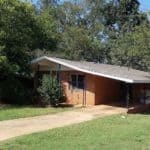 An investor purchases a property for $100,000 with a rent amount of $1,000. This seems like a good idea to many investors however, when you factor in expenses the net cash flow amount winds up being $100-$200 per month. Your loan payment, insurance, taxes, reserves, etc., take away from potential revenue that leaves you little to no profit. The higher the purchase price the more your loan payment will be, insurance premium, taxes, etc. In turn, this gives you a net return of 1%. Why would you spend $100,000 on a property only to make $1,000-$2,000 per year, if nothing goes wrong. That’s the best-case scenario. If your investment needs any repairs your investment turns into a net .05% return, break even, or a loss for the year. This is not investing based on the highest and best use. It’s definitely not being maximally productive. In the event a tenant moves out in a year or 2, where does the money to renovate so it can be rented again and/or sold to an owner occupant come from? The answer is your wallet. You didn’t make enough to fund the renovation. 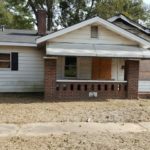 It would take approximately 10 years of steady income without any repairs to have at least $10,000 to renovate for a new tenant and/or sale. Many investors believe these are safe investments because of the area. They are safe investments if the goal is to use the property in a way that passes the 4 tests of highest and best use. In most cases, that is a buy, renovate, and sale in these areas. That produces the maximally productive return for the investment. In order to invest for cash flow that presents the highest returns many investors will need to step out their comfort zone. In order to maximize the return on a property that is maximally productive the property has to produce more revenue as rented than it would being used for anything else. In order to achieve the maximum return for a rental property, it usually needs to be in an area where demand to rent exceeds the demand to buy. These are typically lower income areas. The demand to rent is what drives the rent amount in every market. The lower income areas typically can’t afford to buy or simply don’t want to buy because they receive financial assistance. This doesn’t make the investment or the person lesser than someone that can buy or wants to buy. It means that person made a choice to rent instead of buy in these areas. Conversely, an owner-occupant made a choice to buy instead of rent. That’s the great thing about Real Estate. It is driven by choices, emotions, and opinions. There are very few facts about Real Estate. The fact that a property is worth $100,000 today doesn’t mean it will be worth $100,000 tomorrow. Real Estate changes on a daily basis. If you are investing for cash flow imagine the following scenario. You purchase a house for $50,000. You can see by basic math the expenses will be half of those for a $100,000 house. 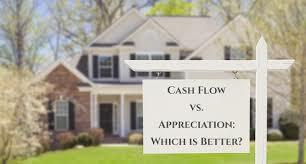 If you are able to rent a property for $750+, you are able to raise your cash flow by twice as much also. Instead of making $100-$200 per month now you able to make $400+ each month. In turn, that equates to $4,800 a year in positive cash flow compared to $1,000-$2,000. You also have less financial risk involved since your debt is half of what it would have been, $50,000 compared to a $100,000 investment. It comes down to the ability to finance the property. The reason it is easier to finance a property in a B/C market is due to the availability of comparable sales for an appraisal. That doesn’t mean the correct value was used to purchase. The appraiser stated the highest and best use in the appraisal. That is why the value used in the appraisal is the sales comparison approach to value however, it’s the wrong value. You are going to rent the property not sell it to an owner-occupant. To purchase a property based on the correct appraised value, the appraiser needs to know it will be rented. If the appraiser has this knowledge they can include the income approach to value in the appraisal. The loan originator is also an issue when financing a property. They are paid based on the loan amount and simplicity of the loan approval. This doesn’t mean your loan originator is helping you nor have your best interest in mind. The sales comparison approach is the easiest value to get an approval. Most of the loans they approve, including the underwriter, are based on the sales comparison approach. In order to purchase based on the income approach, the usage you will be using for the property, the loan originator and underwriter will have to step outside their comfort zone. Why is purchasing based on the correct value approach important? Here is the example to show the differences in the value approaches. Sales Comparison Approach – What the Sales Say the House Would Sell for in a Market Driven by Retail Sales with all things being equal, condition, style, etc., except for size. Income Approach – We are in a B area basing on the 1% rule (Rent should be $1,500 if everything is equal) A Gross Rent Multiplier is used in the income approach. An 85 reflects a B for the GRM. As you can see renting a property in a market driven by retail sales to owner occupants has a lower value. The equity you thought you had is actually negative by $22,500 based on the correct value approach and intended use of the property. It’s not a secret the sales comparison value in low income areas is less but let’s look at the correct value approach based on the investors intended use. We’ll use the same assumptions from above that all things are equal. For the example we will consider the area a D market. Income Approach – Rent is the demand for the area. A 65 reflects a D for the GRM. As you can see the income value is more closely related to the sales comparison value. This is due to the purchases being driven by the income the property will produce rather than the purchases being driven by owner occupants. It’s important to understand value and the approaches to value when you are investing. It can be the difference in making money or unknowingly losing money. If you are investing for cash flow you should invest in the areas that are controlled by rental demand. If you invest to rent in areas where the demand is controlled by owner occupant retail sales you inadvertently start without the equity you thought you had due to the wrong approach to value being used. Always match the value approach to the intended use of the property and make sure it passes the 4 tests of the Highest and Best Use analysis. 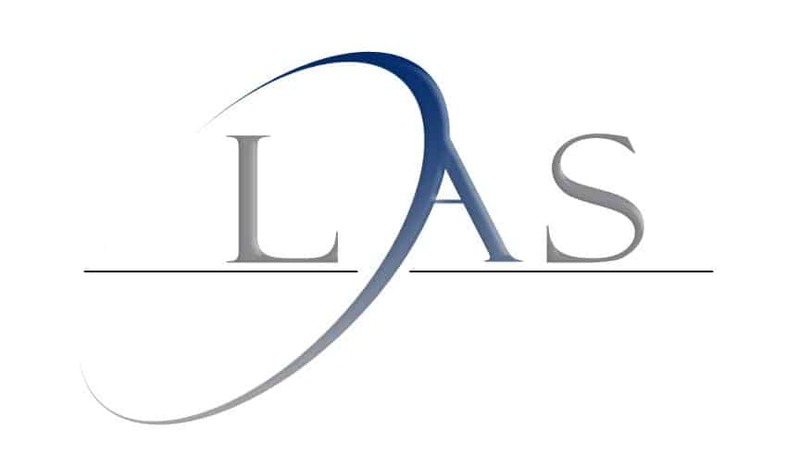 If you have any questions we welcome, you to contact us or fill out the form if you would like to Invest with LAS. Investing for Cash Flow can be tricky for many investors, new and seasoned. There are many ways to invest in rental properties but choosing the right investment is the difference in being profitable versus barely making money. Many investors make the mistake of buying a property because it appears to be in a good area on paper. Let’s explore the how to invest for cash flow in Real Estate that will maximize your return.